My whole life, I have never liked to exercise, but I have been thinking about it. As the big birthday approached, I dropped some hints. My son kindly took the hint and this picture shows the model I have on my wrist as I type. Too bad it doesn’t measure time spent on the computer! Fitbit is an American Company in San Francisco, California which was started in 2007. 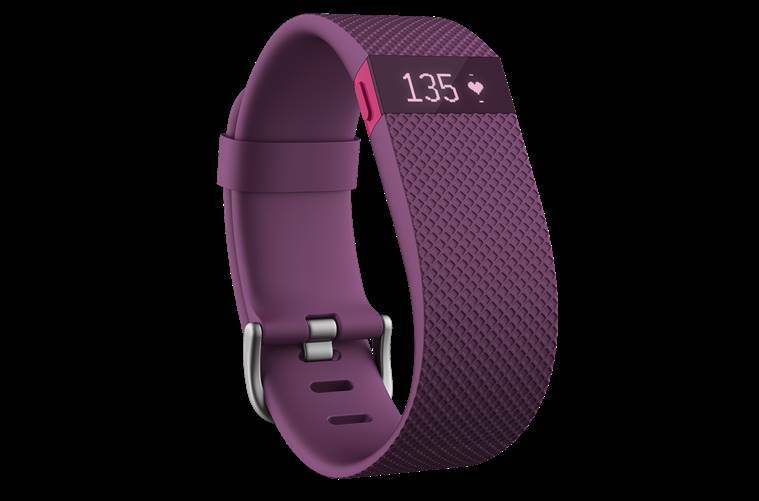 The Fitbit is a wearable technology wireless activity tracker. The company went public in June 2015 and you probably have noticed many people with Fitbits on their wrists . This is the Fitbit Charge HR and sells for $128 on Amazon.It measures my steps, heart rate, calories taken in and burned, stairs, and quality and time of sleep during the night. Chris connected my phone with an app. A weekly report also is available. The step goal from the American Heart Association is 10,000 steps a day. Oh my goodness, that number seemed totally unattainable just hearing it. And the few weeks I have been walking regularly, I have walked 10,000 steps a number of times 12, 000 and 13,000 steps a few times, too. My friend Judy has graciously encouraged me and joined me. She walks again with her husband in the evening. That is a true friend. She has several routes and distances that we use. Yesterday, she came to the park and we walked downtown, but got sidetracked peeping into new restoration projects in the center of Troy. Looks as if there is a Renaissance in Troy. We both like to talk, though I sometimes slow down and need to catch up with her. She is a great teacher ! I do feel better, more energetic and less hungry. These are lessons I have learned before. Slow learning I am ! This entry was posted in Uncategorized, USA and tagged 10000 steps a day, 2007, activity tracker, exericsie, Fitbit, Fitbit Charge HR, four miles, health, heart rate, public in June 2015, technology, walking goal, wireless wearable technology. Bookmark the permalink. Good for you, Anne! It is hard to do something you really don’t want to do…..glad you are experiencing some positive rewards….that helps! Keep calm, walk on…. Thanks Page ! You with your discipline and hard work are an inspiration to me! Hugs ! Good luck, wishing you every success with your new friend fit bit. Love this blog. LOL! Thanks so much for your kind words and encouragement! LOL. . . . Love your comment and encouragement ! Do visit again, soon !